Whatever the season, and wherever you’re walking, you’ll need a good quality waterproof jacket. It could be that you’re heading for warmer climes, so a waterproof jacket that is easy to stow away in your backpack will be a good choice, or you might be walking where it’s wet and windy, in which case you’ll need a robust jacket that is guaranteed to be windproof and waterproof. Another key thing to think about is breathability. We all sweat while doing activities and if your jacket doesn’t allow the sweat vapour to disperse through the jacket you’ll end up wet on the inside, even if it’s not raining. Other factors to take into account when buying a waterproof jacket are: budget, activity, time of year, size, gender, fit, use and even colour preference. Of course, you may end up finding that one or two factors are more vital – such as price over colour, or fit over budget – when compared to others, but there are still some general pointers to keep in mind. When will you wear the waterproof jacket? The season – and your destination – will generally dictate the type of waterproof jacket that you buy. Most waterproof jackets fall into one of three categories: Lightweight, general (all-purpose) and mountain. If you plan to be outdoors in winter, you’ll want a heavier weight fabric that is specially designed to keep out wind and heavy rain. This is a mountain jacket. In summer, a lightweight jacket will suit warmer conditions, especially if you tend to sweat. If you can pack it away into a small pouch to pop in your rucksack it makes sense for walking holidays. For all-round use go for the all-purpose jacket, which offers the compromise of being generally okay winter and summer conditions, but won’t be so specifically designed. A heavier-weight waterproof jacket will be wearable in winter and on many summer days in the UK. A lightweight summer jacket will be cheaper but less useable year-round. 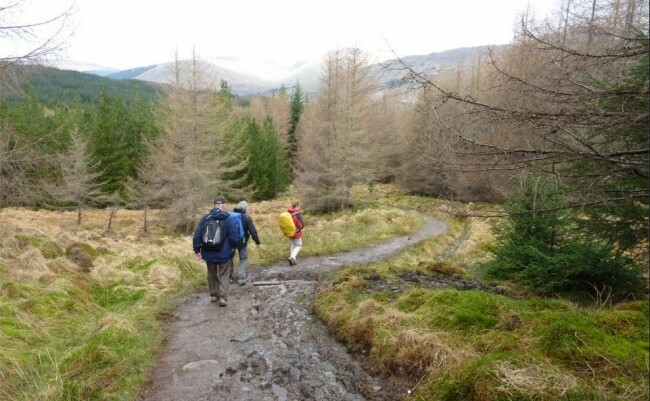 If you will be outdoors when it might – or might not – rain, choose a jacket that can be packed away into a small pack for easier stowing in your rucksack. Each claim to be highly waterproof and breathable. Each fabric producer also makes different types of fabric, from thicker and highly waterproof to thinner and highly breathable. Then there is membrane and coated fabrics to think about. A word about Gore-Tex. This fabric is by far the biggest seller and also favoured by experienced outdoors folks, but it also tends to be one of the most expensive brands. Price, use, weather conditions and your personal perspiration levels will affect your choice. Check for guides to washing and keeping the fabrics in good condition. With all jackets look out for guarantees for the life of the jacket. Waterproof jackets can be as basic as a pull-over jacket with a short neck zip, or include a host of details, such as two-way zips, map pocket, hand pockets, zipped sleeve pocket, fitted and peaked hood, adjustable waist, cuffs and hood and pit zips. If you are buying a jacket to stay dry on a walk to work or the shops, it’s unlikely you’ll need a highly technical jacket. A simple design that keeps you dry will be ideal. However, if you’re a winter walker or a keen hiker, pockets will be important, as will pit zips, which keep you cool when the going is kind-of warm. Softer fabric on the inside neck of the jacket will be more comfortable against your chin skin for times when you need to zip the jacket up to the top. Hand pockets set higher up a jacket allow you access while also having the waistband of your rucksack done up. Make sure that if you’re a woman the zips sit above your waist and not the assumed waist of men! Two-way zips make jackets more versatile. A well-designed hood will fit neatly to your head and be highly adjustable. You need the hood to turn with your head and a stiff peak wire is an advantage. A storm flap over the zip (at the front or back) is essential for keeping heavy rain out, especially in the winter. Some jacket manufacturers have designed waterproof zips, which have been give the thumbs up – and down – depending on who you ask! Colour is optional but a high visibility colour such as red, bright greens, orange or yellow might one day save your life if you become lost or stranded on the hills. The length of a walking jacket should be enough to cover some of your backside and many hiking coats are now designed to be longer at the back than the front. In general, a men’s jacket will better suit the shape of a man, while a female-fit jacket is better suited to women. Again, this is preference and some women will feel more comfortable in a looser fit men’s jacket. Remember, however, that female-fit jackets will also be shaped to allow for a bosom and offer a better fit across narrower shoulders and waists and wider hips. 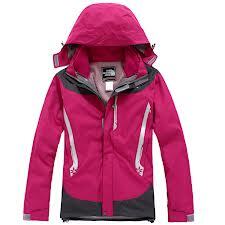 Women’s jackets also come in more feminine colours, while men’s jackets tend to be in “guys” colours. But this isn’t a rule and you may find you prefer a jacket in on the male or female rack according to colour. *Buy a jacket that will allow for baselayer underneath. * Can you move your arms in your jacket? A jacket that is too tight on the shoulders will be hopeless when you’re trying to put on your rucksack, for example. * When trying on the jacket, make sure the cuff covers the top part of your hand so as to stop rain water soaking your lower arms. If you have the budget, go for a waterproof jacket that is designed to suit each sport, including hiking, skiing, running and cycling. Most jacket designers will think about the sport participation. For example, when on a bike the arms and jacket length need to be long enough to reach the hands and over the bum when seated on a bike. We have not yet mentioned lined versus unlined jackets. Some jackets have a silky or mesh lining. This is meant to aid comfort against the skin. However, most jackets that are fully breathable will not have a lining, because this might hamper the ability of the fabric to allow sweat vapour out. The Gore-Tex active shell has a softer lining attached to the membrane that claims to offer superb breathability. Even the most expensive, top-end waterproof jacket will let in some moisture if you stand under a waterfall, and build up a little dampness inside if you go running in high temperatures/. You can help a jacket to work well by keeping it clean and occasionally reproofing. Gore-Tex tell customers to wash the jacket with a special outdoors clothing wash and then iron the outer gently to reproof. This can be done up to 15 times in the life of a jacket. Any other questions about waterproof jackets, and the right jacket for a walking holiday, or even just the walking holiday itself, please do contact us. A journalist, web copywriter blogger and social media chatterbox, Fiona combines her love of the outdoors – especially Scotland – with a diverse freelance work life. If she's not at her desk writing about the outdoors, she'll be outside cycling, running, kayaking, snowboarding and walking Munros. She shares her outdoors passion with partner, the G-Force. Sometimes her teenage daughter Little Miss Outdoors tags along, too.